(79) Photos Printable Brochure Apply For Credit Schedule A Test Drive Text Us About This Vehicle! 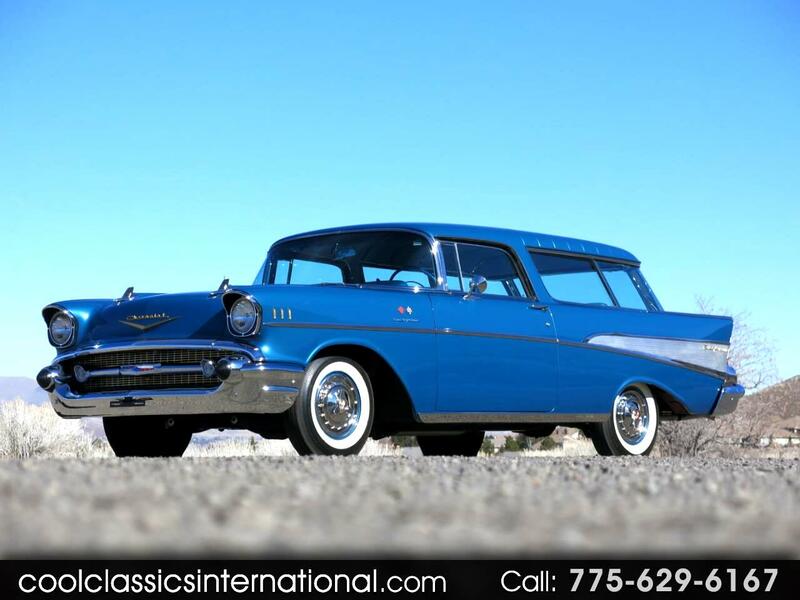 Offered for sale is this very rare and exceptional 1957 Chevrolet Nomad Wagon with factory fuel injection, power steering, and power brakes. This Bel Air Nomad shows extremely well inside and out. We believe this car has just over 100 miles since the highly detailed restoration. This California car was part of the Rose Collection in the early 2000s. Finished in stunning Harbor Blue Metallic over a blue and black interior this Nomad is exceptionally attractive and an example of the best Detroit offered in the 1950s. The 250 horsepower 283 cubic inch fuel injected V8 engine runs excellent and pulls strong while the power-glide automatic transmission shifts nicely. The steering and suspension are tight and predictable making this classic Chevy a true pleasure to drive. Please take a look at the link below for the pre-sale inspection and feel free to call James Krueger with any questions at 775-629-6167. If the vehicle is older than 1981 the stated mileage is only an ODO reading, Cool Classics can not guarantee actual mileage on classic vehicles.